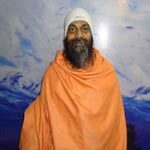 Amarna Anand has done meditation course from Osho International Meditation Resort in Pune, Maharashtra in India. He has well versed and experienced in different levels of Osho Meditation and has been teaching the same in different parts of India. Swami Amarna Anand has been felicitated by many organizations for sharing his Osho meditation and Osho visions from past life. Currently, he is residing in Rishikesh and continues to serve and share his knowledge that he got from his guru Osho or Shri Rajneesh Ji, with his students and people from all over the world. Students thoroughly enjoy his class as he uses dynamic way of teaching and keeps the students engrossed in his teachings. His teachings include knowing your potential and learning the methodology of the science of self-awareness. The beauty of knowing inner science is that it eliminates one’s dependence on external authority. Once you understand this, you will start living your life in your way and will walk on your separate spiritual path. There are four levels of relaxing that are included in Osho meditation. Those are the body, mind, heart and self-being. This type of meditation took at least one hour and divided into five stages- first three stages of 10 minutes each and the remaining two of 15 minutes each. He was in standard VIII when he started practicing yoga at school. He learned basic yoga poses and started getting intrigued by it. After completing his school, he went to Medi Yoga Research & Training Institute, Delhi which is run by Chaitanya Foundation and completed a 6-month course in yoga in 2015. He also attended Baba Ramdev’s yoga camps in various parts of India. He learned Hatha yoga and Ashtanga yoga from different masters of yoga in Haridwar and Rishikesh. He also conducted yoga classes in a school in Noida in 2015 also completed 200-hour yoga teacher training at Indian Yoga Association in Rishikesh. In 2016, he came to Rishikesh and joined the Hatha Yoga School Rishikesh India as Hatha yoga teacher and has been teaching for about a year now. Mohit is a young yogi and who learn fast and quickly understands what students are asking the question to him. He has the gift of strong bone strength and flexibility of the highest level, which make him capable of doing the most difficult poses in Hatha & Ashtanga yoga. Where experts fail in doing typical & challenging yoga poses, Mohit very easily does them all. Yogini Manisha has been teaching at Hatha Yoga School since 2016. She was completely involved in design and development of the course structure for various yoga training courses run at the school, located near Lakshman Jhula, Rishikesh. 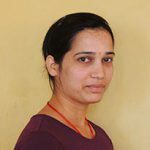 She has been studying, teaching yoga and was brought up in the hub of yoga- Rishikesh. She holds a diploma in yoga and has graduated in arts with yoga & philosophy as subjects. In order to increase her knowledge, she later studied with K. Pattabhai Jois of Ashtanga Vinyasa tradition. She also learnt Iyengar yoga with Yogi Mahesh ji and Yogini Usha Devi. She is adapt at teaching multi-styles of yoga and keeps experimenting with various yoga poses to make them unique and easily doable for students. Yogacharya Mahesh Bhatt is a PG Diploma in Yogic Sciences and was the topper of his batch. He was also awarded gold medal for achieving this feat. Currently, he is pursuing Ph.D in Yogic Sciences, and is teaching Yoga therapy along with Ayurveda and Philosophy at Hatha Yoga School. 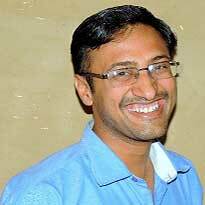 Mahesh also provides relief to people suffering with Acupressure and Marma Therapy across India. He also has international clients and patients who are taking treatment from him. 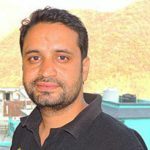 Dr. Gaurav Agrawal is a scholar who was born and brought up in Rishikesh. He studied the philosophy of Yoga Sutras and did a Ph.D in Clinical Psychology. For the past 5 years, he has been teaching yoga philosophy across different yoga schools in Rishikesh. His students describe him as a soft spoken, kind and attentive teacher, always ready to answer queries raised by his students during and after his class. He is counted as one of the best philosophy teachers in Rishikesh, who delivers his philosophy lectures in a simple and interesting way. He usually picks up simple stories to make his lectures easily understandable and communicable as well as interesting.